If you’re like me, you’re eagerly waiting for the fall so that you can finally pick up Michelle Obama’s highly anticipated memoir, Becoming! Michelle was such a wonderful, warm, and funny First Lady, and I’m excited to hear about her life and experiences in her own voice. But fall is still a long way off, so I’m picking up reads that will prepare me for her book! 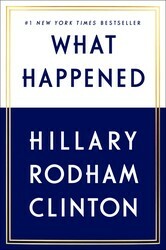 If you’re looking for something reflective of the last election and the seemingly unending political upheaval resulting from it—likely to be touched on in Michelle’s book—look no further than What Happened, Hillary Clinton’s summation of the wild (to put it lightly) 2016 election. 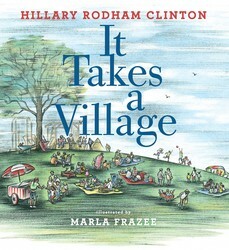 If you’re looking for something less election-focused, It Takes a Village is perfect for you and is as relevant as ever. 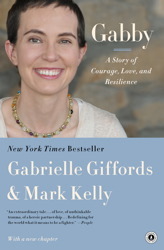 It’s a brilliant look at what we can do as a society to make sure our children grow into resilient adults. David McCullough is one of the most honored historians in the United States (with some Pulitzers, National Book Awards, and a Presidential Medal of Freedom to prove it!). In this book of speeches, he dives into the principles and ideals that make Americans American. 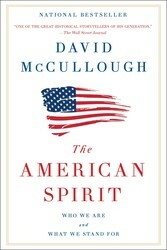 McCullough questions the “American Dream” and what it means to serve your country—a perfect primer to what Michelle will likely have to say about life as First Lady. You should know Jesmyn Ward—and not just because we absolutely adore her. 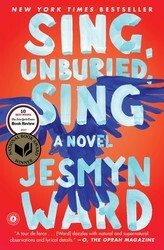 Her latest novel, Sing, Unburied, Sing, is an exploration of legacy, violence, love, and grief. Thirteen-year-old Jojo goes on a road trip with his Black mother, Leonie—a drug addict who has been in and out of her children’s lives. The destination? Jojo’s White father, who is about to be released from prison. While this book may not touch on the recent election, it’s about the racial and social politics of this country, and it was one of Barack Obama’s favorite books of 2017 (and ours too! )—for good reason. If you want to read an Obama, then you should read like an Obama. 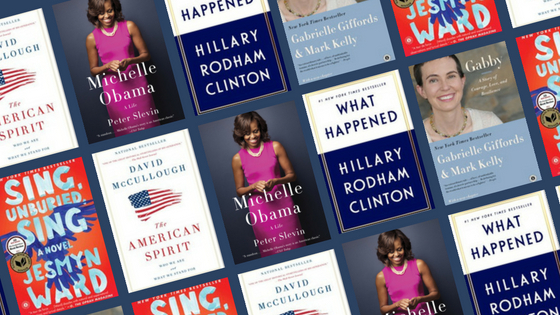 If you just can’t get enough of Michelle Obama (which we’d totally understand), then you should probably pick up Peter Slevin’s biography. A thorough account of Michelle’s life, from her time as a young girl growing up in Chicago to her days in the White House, Slevin draws Michelle as a brilliant and inspiring American icon. It’ll be fun to compare Slevin’s book with Michelle’s own words this fall.